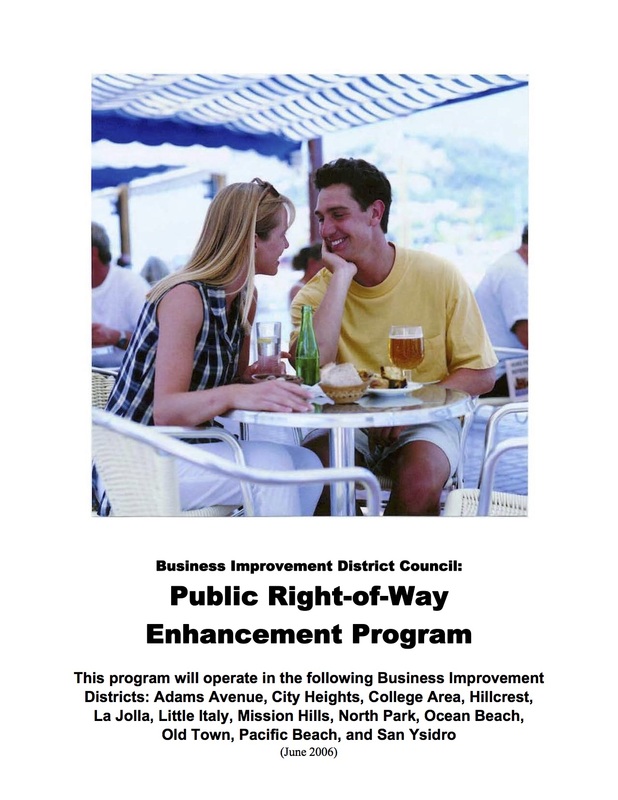 Please spread the word to your Mission Hills business owner neighbors! It is Fair Banner Photo Time! 69 Spots! 7 weeks for $75! They fill up fast! 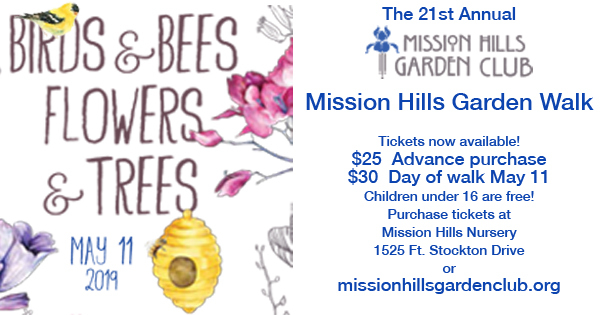 Please email our Executive Director Susan McNeil Schreyer at MissionHillsBID@gmail.com to obtain and complete a registration form with payment ASAP. Each year the San Diego County Fair selects neighborhoods from throughout San Diego County to be featured on 1,000+ Street Banners to celebrate the region’s largest fair. The 30 x 94 banners advertise the Fair’s theme and feature prominent photos of neighborhood people. In Mission Hills the banners will be displayed atop Mission Hills lamp posts, mid-May until just after July 4, (at least 7 weeks!) replacing the usual neighborhood banners. There is a two person per banner photo maximum. A small pet you can hold is an acceptable addition. Large company logos on clothing,”Oz -themed costumes”, SMALL SIGNS, and PROPS are encouraged. A professional photographer will take photos over a two hour period at a single location in Mission Hills. Once your form and fee have been collected, the photo session location and a 5-minute time slot will be offered to you. Restaurants may wish to feature their chef showing off a delectable platter of food. Florists may wish to hold a large and colorful floral arrangement. 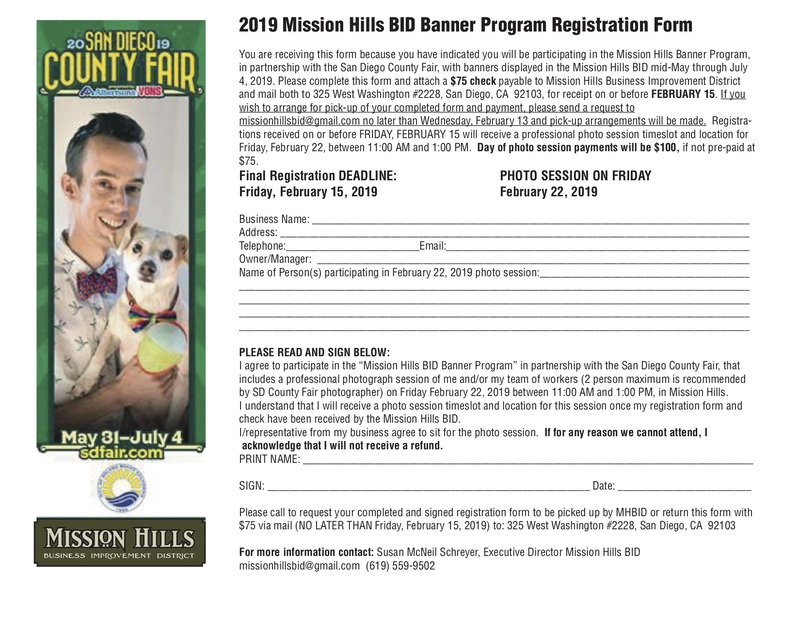 A good example featuring Mission Hills BID board President J. Daniel Geddis and his businesses mascot Mr. Brambles, both of Team D&B at One Mission Realty, is included above in the San Diego County Fair Banner Photo example registration form. Please message Susan McNeil Schreyer at MissionHillsBID@gmail.com if you wish to participate, or if you have questions. She will reply promptly. Emails are better than a phone call. 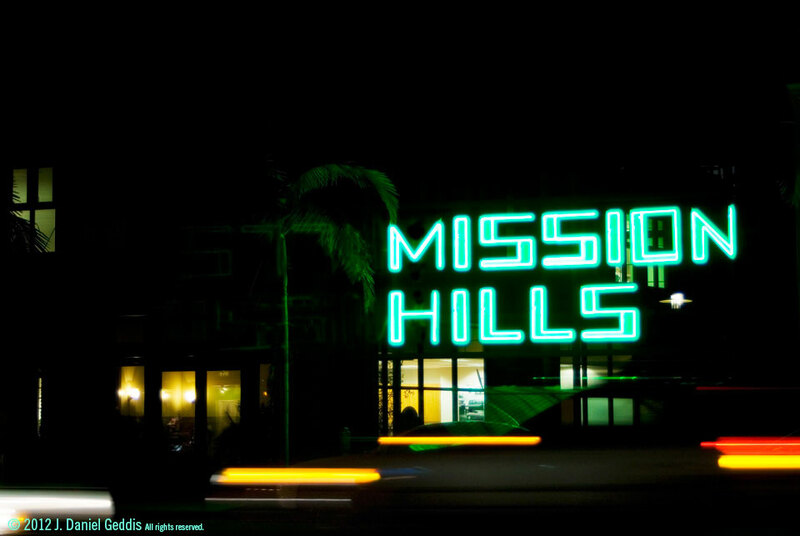 $75 cash or check to the Mission Hills BID secures a banner and photo session. Once we hear from you, Susan will personally stop by your business to pick up the complete registration form and collect the $75 registration fee. Space is limited to 69 banners/69 photos. First come first serve. Last year we sold every space. If for any reason all banners are not purchased, a single business may purchase up to four (4) banners at the rate of $75 per banner. The deadline for completion of forms and funds is Friday, February 15, 2019. We are hoping you will participate and look forward to connecting with you very soon!